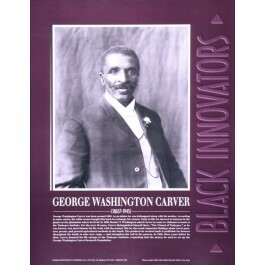 This educational poster of George Washington Carver features a black and white photo of this great African American botanist and innovator, along with a concise biography. Most famous for his work with peanuts, Carver was also an innovator with general agricultural methods in the South. 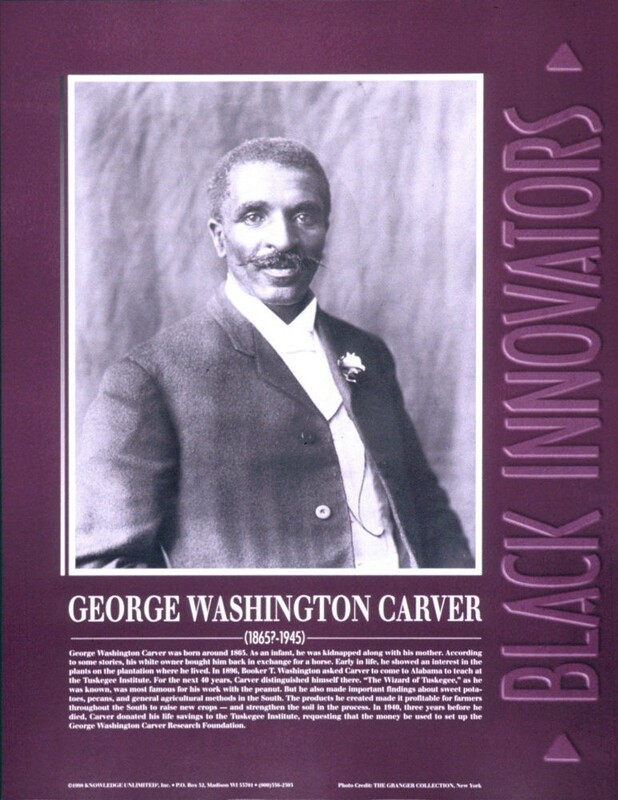 This poster introduces students to the life and work of George Washington Carver, who was an inspiration as a scientist and as a man.